Looking for a handyman? Who do you choose? Let us take the guessing game out of your hands and screen them for you. Free Membership if your handyman is or becomes certified. Screen and monitor your handyman included free. A resource for laws and regulations. Home repair tips and advice. Resources and useful materials for safe home service hiring. Including My Home Log. For more Information about MyHome and the reason you shouldn’t hire a handyman without screening them. All the benefits of My Home and more. 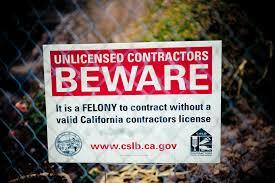 Criminal background Screening of your handyman. Handyman concierge service. Let us help you find your next handyman. We make sure the service professionals you hire are safe so you can concentrate on what you need done. We notify you if anything of concern pops up regarding your home professional. We put our money where our mouth is. If you hire one of our certified Handymen and they commit fraud towards you. (Take your money and run) We will pay you back for your loss. some conditions apply. Working as a handyman. Contracting without a license $500 Limit? Is it a Law or Implied? Where? Free Webhosting for certified members. Introducing new fill able forms for the customer members. to bring for the repair and save around $80-$100 per visit. Home Service record- Log for your records all your home service or repair records. You can use this form for your home, auto or any other item that requires service. before they enter your home. From handymen to babysitters or housekeepers. 2. Current Insurance on file with the UHA. 4. Pass Business background check. What is a trade association? The Mission of the UHA is to be an association for all handymen to come together for a common goal. We will strive for an improved industry and a better life for the handyman through persistence and strength together. We strive to certify all handymen that consider themselves to be a true business and is in pursuit of more for himself and for the industry in a whole. We offer all the tools needed to start and to run a successful business with proven success. We vow to leave no deserving handyman behind and will include every handyman without prejudice regardless of ability to pay. We vow to report on all handyman businesses equally and without prejudice to maintain an ethical and unbiased organization. Your privacy is of the utmost importance to us while you are visiting our site. We do not at any time participate in any phishing activity to gain any type of information from you. Any information that you willfully share with us is kept secure and never shared with any site or agency. Information that you share with us is used for verification purposes only. When you become a member you will be asked to fill out a form telling us who you are to become a member or to become certified. If you are not comfortable at anytime with sharing information online feel free to call and speak with a live representative that can complete the process over the phone 800-778-0240.